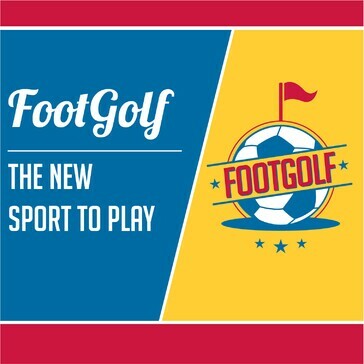 Since the game is played on a golf course, the basic uniform of FootGolf is golf apparel, with indoor or turf soccer shoes. The ball must be a soccer ball #5. No rubber ball or any other than a regulation #5 soccer ball, similar to FIFA Approved. The American FootGolf League as the governing body for the sport of FootGolf in the US has grown the game to nearly 500 courses in 48 states, District of Columbia and Puerto Rico, since 2011. With over 150 golf courses adding FootGolf in 2015 alone, the game continues to prove a viable source of revenue for golf course operators. Golf facilities can be Accredited and Certified with the AFGL receiving guidance in course design and the standards for the distances for par. The AFGL gives support to courses with marketing to generate traffic on their FootGolf course; bringing them a new demographic. In early 2015 the AFGL launched a FootGolf specific handicap system FFANS, now courses can have league play and manage handicap giving them even more revenue from FootGolf. Golf courses and players alike will be impressed with the state of the art technology that was used to create a unique and accurate handicap and ranking system for the sport. 2016 brings the start of the National Tournament series, where Certified course will have the opportunity to host a state or regional qualifier. These tournaments will lead into a state or regional championship that will feed into the national championship. The home course of the AFGL, Desert Willow Golf Resort will be the host of the National Championship in November, 2016. • Your ball must be easy to identify. • Kick off from designated tee markers. • Tee off in order: The player with the best score in the previous hole is the first to kick the ball. The player farthest from the hole is the first to kick the ball. • Play the ball from where it lies (except on golf putting greens). You may mark and lift the ball on footgolf green. • The hole must be completed by kicking the ball into the hole. • Count the total number of kicks it took you from the tee box to the hole and write scores after finishing every hole. • Lowest total score wins the round! • Demonstrate courtesy, sportsmanship, & honesty at all times. • Proper attire must be worn at all times: shirt with collar, golf pants or shorts, tennis shoes or indoor soccer shoes. • Golf carts must stay away from all slopes and edges of natural areas. • Carts are to be parked on paths around all golf tees and greens at all times. • Carts are to remain on paths on all golf par 3’s. • Must have a valid driver’s license to drive a cart. • Do not kick off of golf greens. if your ball lands on a golf green, you are required to take a free drop off of the green.